Gaumont has optioned the iconic, multi-generational comic book series Usagi Yojimbo from the series creator, writer, and illustrator Stan Sakai, to be developed into an animated TV series. First published in 1984, the multiple award-winning Usagi Yojimbo is to be co-produced by Gaumont, Sakai, James Wan’s Atomic Monster, and Dark Horse Entertainment’s Mike Richardson and Keith Goldberg who will serve as executive producers, with Chris Tongue as co-executive producer. The announcement was made today by Gaumont’s President of Animation, Nicolas Atlan. “I’ve been an admirer of Stan’s comic series for a long time and it’s an honor to have the opportunity to bring this character and the rich world that Stan’s created to life for a new generation,” said James Wan. Sakai’s Usagi Yojimbo takes place amidst a rich fantasy setting in 17th century Japan and features a diverse world of anthropomorphic characters. 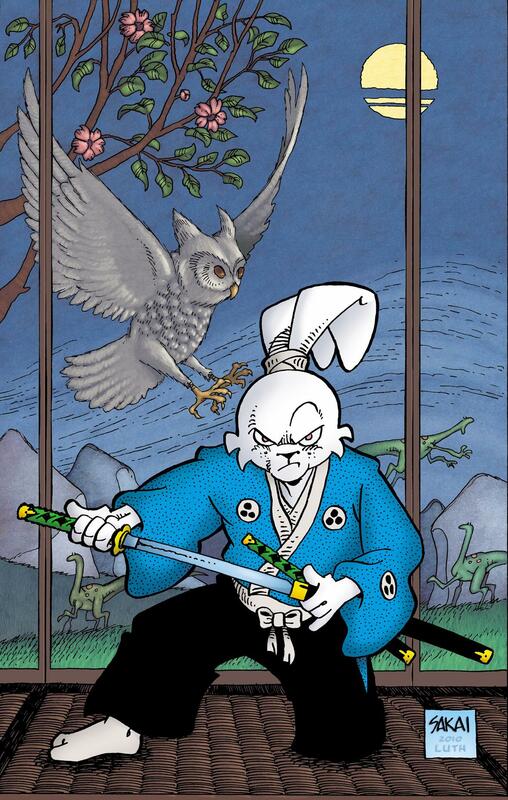 Miyamoto Usagi, otherwise known as Usagi Yojimbo, is a ronin warrior with the heart of a hero. A skilled swordsrabbit, and one-time bodyguard for a Japanese War Lord, he’s now masterless, and explores his world of immense castles and humble villages, encountering dinosaurs, Yokai (ghosts/monsters), cats, bats, bounty hunters, giant snakes, and even aliens, facing exciting adventures at every turn, always ready to help. Usagi Yojimbo is no stranger to the TV screen having appeared in all three Teenage Mutant Ninja Turtles animated series. Usagi debuted in TMNT in 1987 and he most recently appeared in Nickelodeon’s three-episode arc in the summer of 2017. Usagi Yojimbo has amassed numerous awards and recognition over the past three decades. In the kid’s arena, the comics books have received a Parents’ Choice Award, an American Library Association Award, and the YALSA (Young Adult Library Services Association) award. Other accolades and awards include Usagi Yojimbo being named among the Top 50 comic book characters of all time by Empire Magazine, the top 100 comic book characters of all time by IGN, and the top 50 best non-superhero graphic novels by Rolling Stone magazine. Mr. Sakai is a five-time Eisner Award-winner and multiple Haxter (Spain) Award-winner, and he earned the “Best Cartoonist” Harvey Award in 2016. The Usagi Yojimbo comics have been translated into 15 languages and are available in 21 countries in English.